Alappuzha - a southern coastal district of Kerala - is one of the tourist heavens in south India. It is also known as the "Venice of the East" due to it's striking geographical similarity to Venice. Alappuzha is blessed with huge water bodies like rivers, lakes and backwaters. The picturesque villages of Alappuzha is covered with criss-cross canals and lush green paddy fields . Alappuzha is also famous for the house boat cruises, thrilling snake boat races, clean and serene beaches and ancient temples and churches. 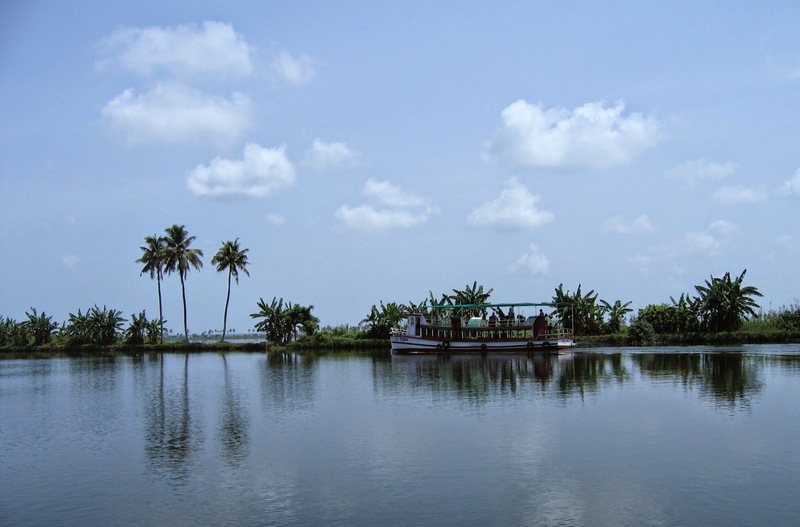 Here are some of the prime attractions in Alappuzha for you to explore. Kuttanad is a region in Kerala, spread across three districts. Kuttanad is a picturesque land scape, abundant with green paddy fields and backwaters of striking beauty. 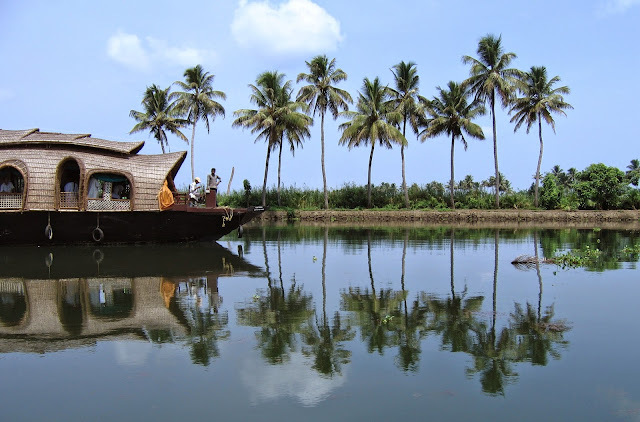 A houseboat trip through Kuttanad part of Alappuzha is considered as an iconic activity of any Kerala tour. Four famous rivers of Kerala give life to Kuttanad by flowing into it. They are Pampa, Meenachil, Achankovil and Manimala rivers. One can explore Kuttanad by taking the Alappuzha-Changanassery route, which passes through the heart of Kuttanad. One can also take diversions in this road to enter into the agricultural villages of Alappuzha which has numerous canals and small boats (gondolas) dotting in them. Kuttanad is well known for its sea food delicacies and “Kettu Valloms”(House Boats). There are many private tour operators who provide a tour of Kuttanad by house boats. Krishnapuram Palace is located at Kayamkulam near Alappuzha. It dates back to the 18th century. It was founded by Anizham Thirunal Marthanda Varma. The elaborate palace is built in typical Kerala architectural style (Pathinaru Kettu). The palace complex also houses a museum where ancient paintings and inscriptions, coins, megalithic remains, artefacts made of wood, brass and stone sculptures are preserved. 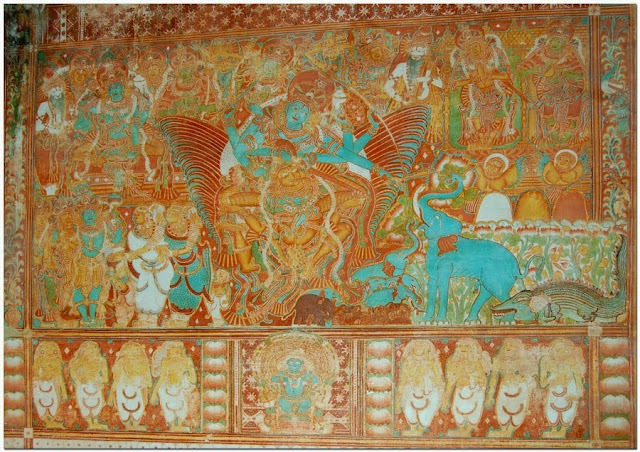 Among the paintings, “Gajendra Moksham” (Salvation of the Elephant King Gajendra)” mural is most famous. It is the largest single piece of mural painting so far discovered in Kerala. The double edged Kayamkulam Sword is another artifact of attraction. There is a large pond within the palace which also attracts the tourists. Alappuzha is referred to as the Venice of the East, after its famous backwaters and criss-cross canals. However, the beaches of Alappuzha are also equally stunning. There are many beaches in this list. 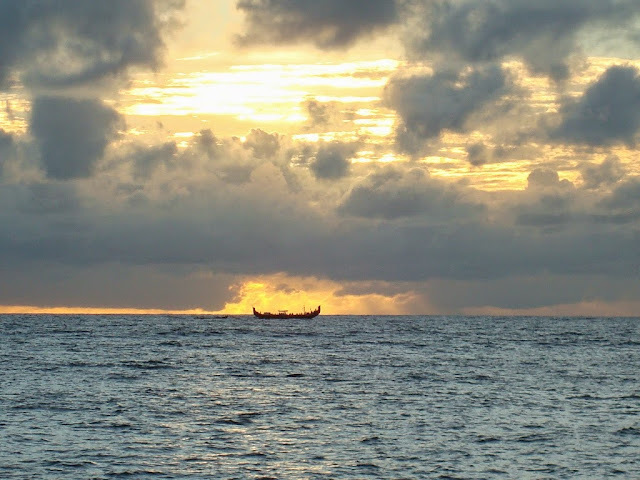 Let us start with the Alappuzha beach. 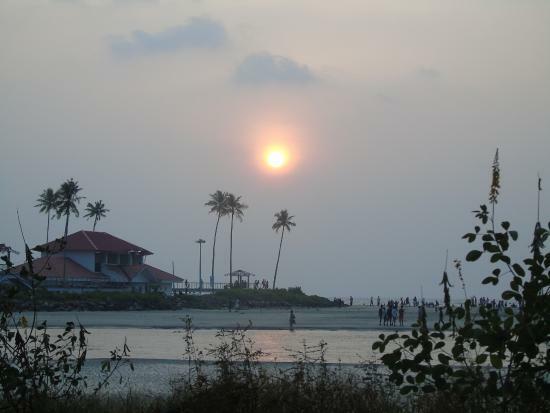 It is an important beach in the district as it is very close to the Alappuzha town, the district headquarters. This is a long and tidy beach with fine sand. The other attractions of the beach are the Light house and an old sea bridge in ruins. This beach is very large but a bit crowded, probably due to its proximity to the town. It may not be an ideal place for a bath, however ideal for beach sports like volley. 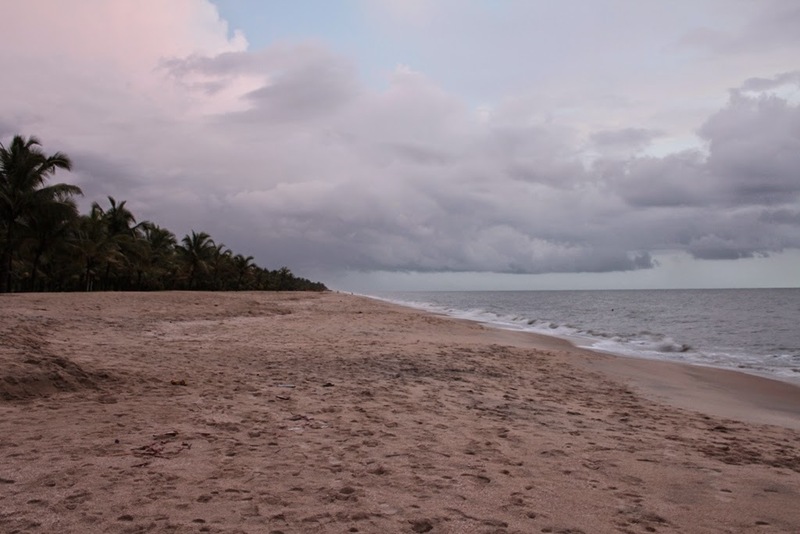 Marari beach is a quiet and unpolluted beach situated at 11 Km from the Alappuzha town. This serene place with the exquisite beach houses many tourist resorts for one to enjoy a calm beach holiday. Marari beach offers an excellent view of the sunset and an idle place to play in its white sand. Even though this beach is a bit off track from the main roads, the place is worth a visit. Andhakaranazhy is located at 4 kilometers from the Pattanakkad in Cherthala Taluk in Alappuzha. Azhy in Malayalam means a place where the backwaters meet the ocean. Thick sand sedimentation is formed due to this phenomenon. 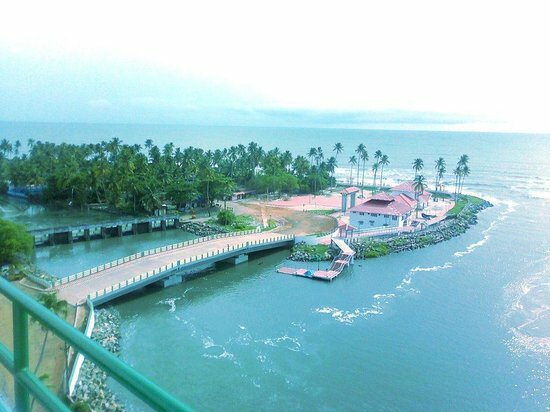 Andhakaranazhy is a coastal village and there is good beach and light house to enjoy an evening. There are also a few Chinese fishing nets, an icon of Kerala. The route to Andhakaranazhy via the Thanky - Andhakaranazhy - Pallithode beach road itself is a picturesque trip. 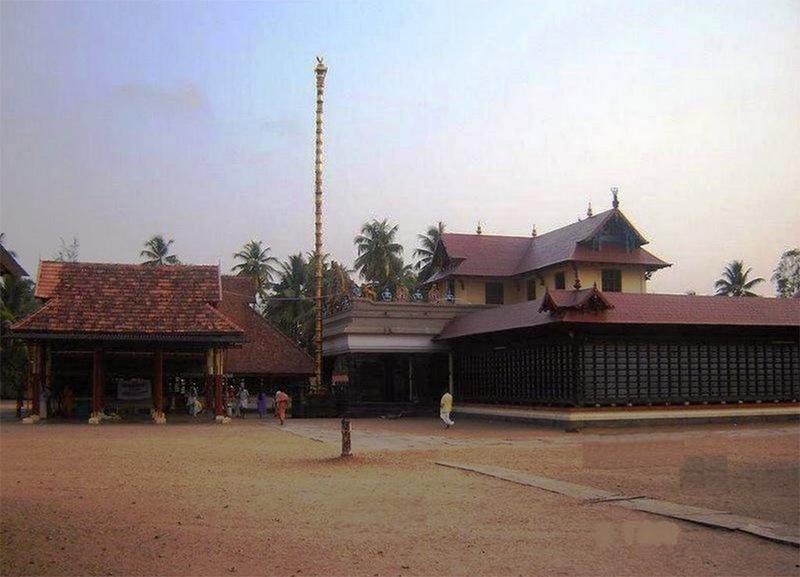 Sree Subrahmanya Swamy temple is located in the Haripad town of Alappuzha district. 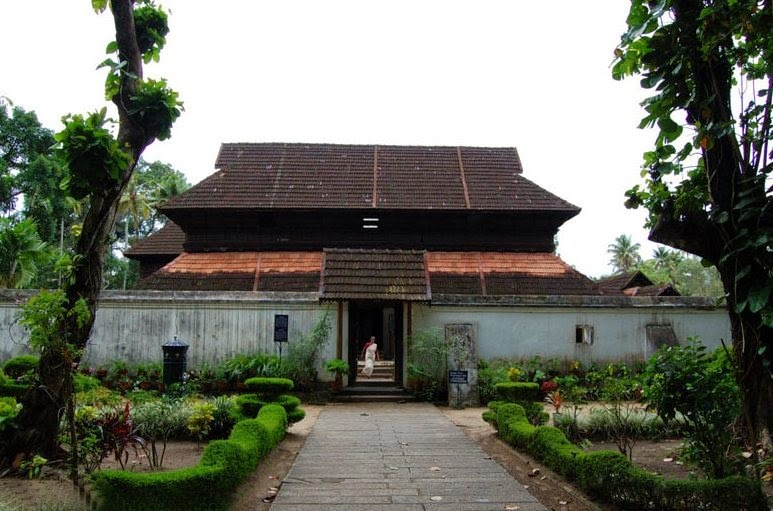 It is believed to be one of the oldest temples in Kerala. The main deity of the temple is Chathurbahu – a four handed form of Murugan. The idol of Chathurbahu in the Subrahmanya Swamy temple is very auspicious and believed to be adored by the creator of Kerala, great sage Parashuraman himself. 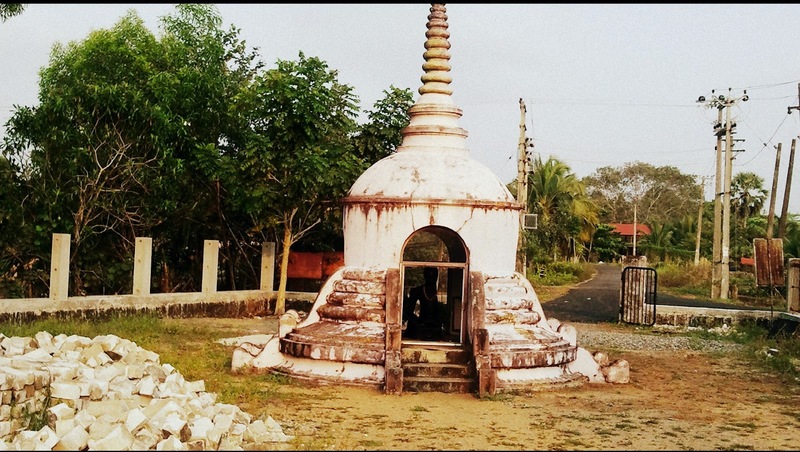 According to the legend, Parashuraman had deposited the idol in the Kayamkulam Lake and it was retrieved from the lake and consecrated in the current temple. As a memoir to this event, every year in the Malayalam month of Chingam - three days after Thiruvonam - a water festival is conducted known as the “Vigraha Labdi Jalotsava”. It is also known as "Payipad Boat Race". St. George Catholic Church is a famous pilgrimage location of Alappuzha district. It is located at a place called Edathua, which is around 12 kilometers from the Thiruvalla town in Alappuzha. This church was built in 1810 and has a typical architecture of the European churches. 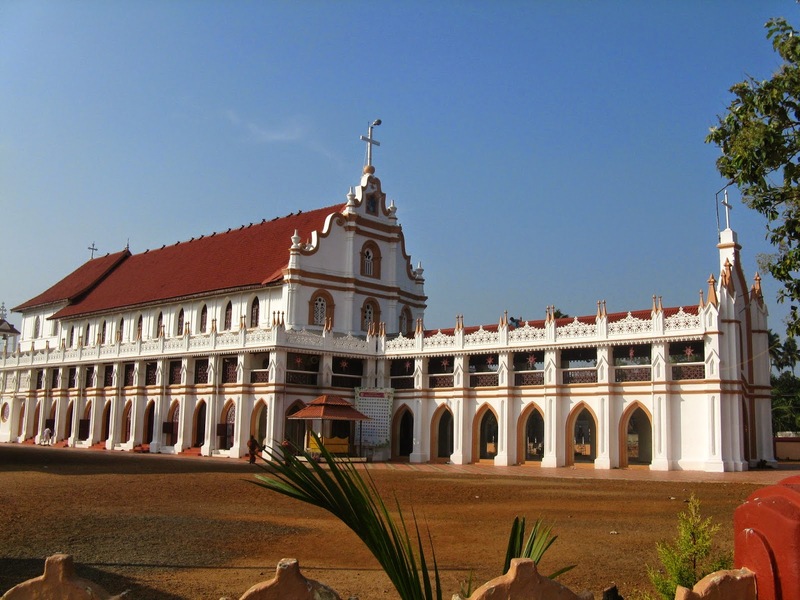 The Christian communities of Edathua and nearby places like Champakulam have a legendary lineage who was christened by St. Thomas, one of the eleven disciples of Jesus. The church is located at the banks of a branch of Pampa River. 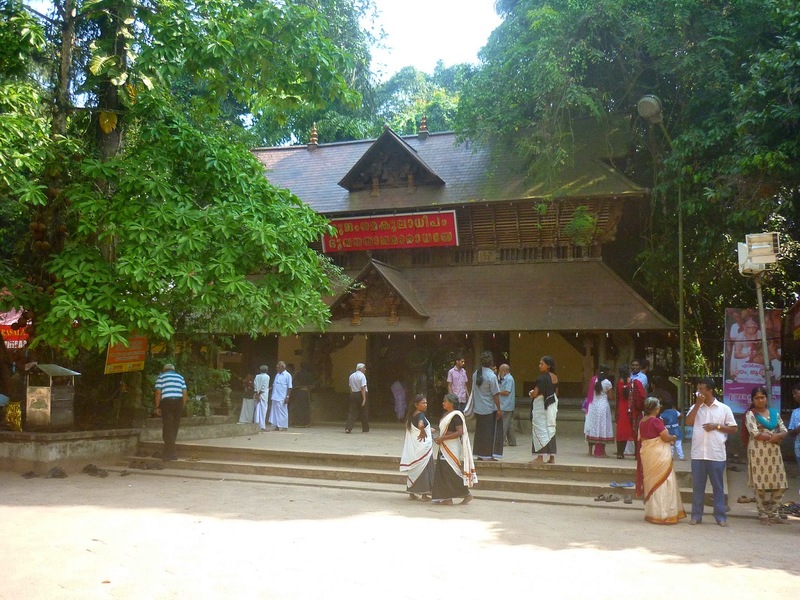 Another renowned temple near the Harippad town in Alappuzha is the Mannarasala temple. This temple is dedicated to the serpent Gods Nagaraja and has an ancient history. Legend says that Parasuraman himself has built this temple at Mannarasala. The temple has a close connection to the legend of the creation of Kerala by Parashuraman. It is one of the most popular Nagaraja temples in India. It is a famous pilgrimage sport of especially couple seeking for the blessing of having children. The temple is located in the midst of lush green trees, which has a connection to the origin of the name “Mannarasala”. 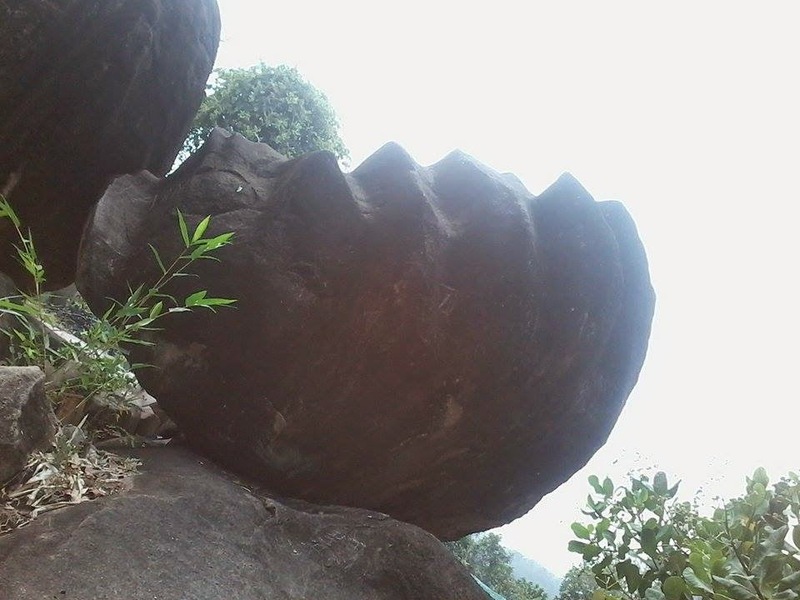 Legend says that Parasurama after pleasing the Nagaraja requested to stay in Kerala and bless his land forever. He made a “thirthsthala”( Hall of pilgrimage) in a place filled with Mandara trees (Indian Coral Tree ). Hence the name Mandara-sthala later converted into Mannarasala. It is located just 3km from the Haripad town and the main festival of the temple is known as Mannarasala Aayilyam which is celebrated in the Aayilyam asterism of the Kanni and Thulam months of Malayalam calender. ( Mostly September and October). Punnamada Lake is the longest lake in Kerala passing through multiple districts and known by different names. A cruise through Punnamada Lake is one activity that cannot be missed during the Alappuzha visit. Punnamada Lake is also known as Vembanad Lake and Kochi Lake. There are multiple islands in this lake and also lot of small dry lands dotted with array of coconut trees, migratory birds, paddy fields and picturesque villages on its banks. 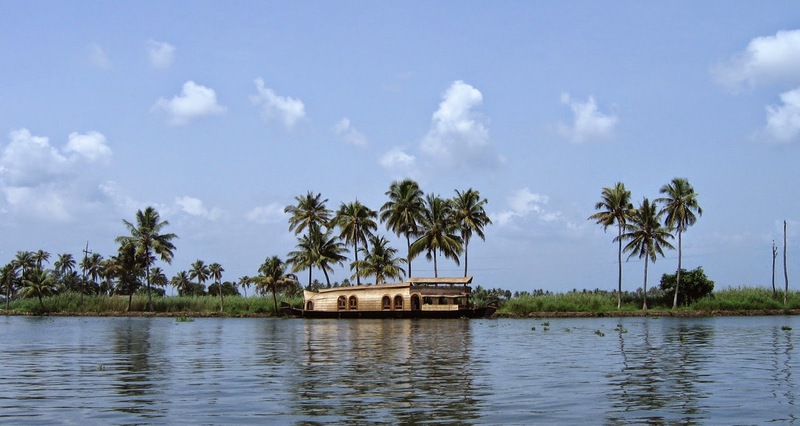 A lazy house boat ride through the Punnamada Lake is a perfect addition to the Kerala tour. 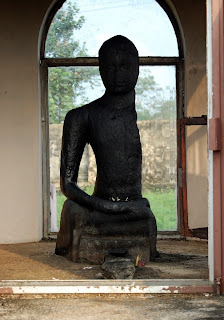 Karumadikkuttan is the name of the Buddha statue found near 17km from Alappuzha, in the village of Karumadi. This is an ancient Buddha statue is from 9th to 14th century. The backwater region of Alappuzha is named “Kuttanad” after the name of Karumadikkuttan. The left side of the Karumadikkuttan statue is missing and believed to be destroyed by an elephant. This is an important place for archeology enthusiasts, interested in exploring the history of Alappuzha. The 25km stretch of state highway 11 from Alappuzha to Changanassery is a picturesque road through the Kuttanad region. On either sides of this road, there are beautiful greenery of paddy fields, array of coconut trees and majestic backwaters. This road has a risk of flooding during the monsoon, hence a good season to be chosen for this drive. Being a very low land with scarce forest, Alappuzha doesn’t offer much of trekking options, however on exception to this is the Pandavan Para – translates to the Rock of Pandava’s. Pandavan Para is near Chengannur town in Alappuzha. Pandavan Para is named so based on the myth that during the time of their exile, the five Pandava brothers from Indian epic Mahabharata spend time here in hiding. There is a small temple on top of the hill where Pandavas and Krishna are the deities. There are many interesting rock structures in around this place. One set is in the shaping of various stages of a blooming lotus. One rock is in the state of a bud, another in half bloom and finally a full bloomed one. There are also other rocks which are in curious shapes like a frog, the thrones of the Pandava princes, the beetle leaf carrier of Bhima. It would be a great idea to take a guide along with you so that you can understand the importance of each of these rocks.